Chromebooks are the new MacBook. At least, that’s the takeaway from the NDP’s new data on technology purchases made by US businesses: of the 14.4 million computers sold to workplaces, 9.6 percent – around 1.3 million – were Chromebooks. That’s meteoric growth for Google-branded alternative laptops that, in 2012, represented as little as 0.2 percent of sales. This year’s share easily trounced Apple MacBook sales (1.8 percent), and even Android tablet orders (8.7). Unsurprisingly, Windows notebooks dominated with a nearly 34.1 percent share of sales. The iPad, too, remains the most popular tablet for business at 15.8 percent. However, those numbers represent a decrease in demand from 2012, when notebooks and iPads made up 42.9 percent and 17.1 percent of purchases, respectively. 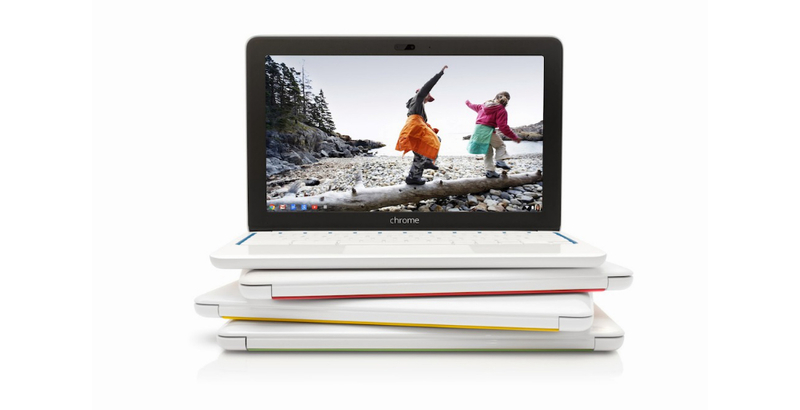 It’s conceivable that, as quality Chromebooks decrease in price, those shares will continue to trend downward. What’s your workplace setup like? Does your company use iPads, Chromebooks, MacBooks, or anything like that?